It may be one of the most gripping Marine images to emerge from Operation Iraqi Freedom: a 2004 photo snapped by freelance combat photographer Lucian Read depicting wounded Marine 1st Sgt. Bradley Kasal, his uniform soaked in blood, being carried out of Fallujah’s famous “House of Hell” by two lance corporals. Kasal would receive the Navy Cross for bravery that day under fire and despite severe wounds to both legs. 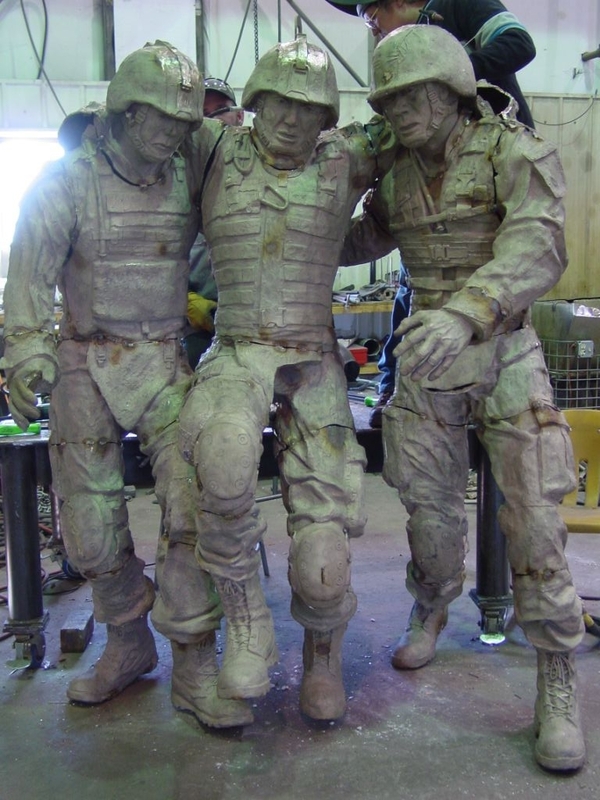 Now, the photo that captured Kasal’s heroism and the grit of the fight is about to become a sculpture outside the Warrior Hope and Care Centers aboard Camp Lejeune and Camp Pendleton. The Hope and Care Centers are facilities for rehabilitation and recovery of wounded troops, planned and conceived by national nonprofit Hope for the Warriors and funded by the Marine Corps. The Pendleton Hope and Care Center opened last October, and the Lejeune center opened a few months later in December. The centers will be completed in March when the sculptures are unveiled at their entryways, according to a Hope for the Warriors release. They have been years in the making by Wyoming artist John Phelps, a Vietnam veteran who lost his son, Marine Lance Cpl. Chance Phelps to combat in Iraq in 2004. The journey of Lance Cpl. Phelps home from the battlefield after he was killed by enemy fire is portrayed in the 2009 HBO film Taking Chance, starring Kevin Bacon. Photographs of one of the nearly-complete ten-by-thirteen foot sculptures are below, provided by Hope for the Warriors. Funds for the Lejeune monument were raised by the North Carolina Credit Union League and Balfour Beatty Construction, according to Hope for the Warriors releases. 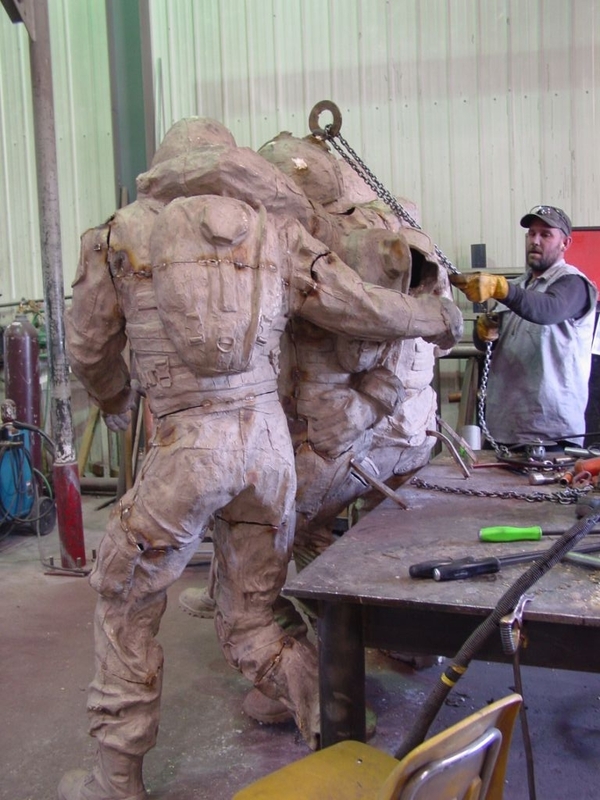 The Lejeune sculpture will be unveiled in a March 8 ceremony. The organization also plans to sell limited-edition resin miniatures of the sculpture for a small donation. Learn more at Hopeforthewarriors.org.